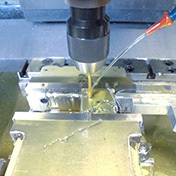 Industries | Aichi Tokei Denki Co.,ltd. One of our strong fields, flow meters for industrial usage, have no mechanically moving parts (i.e. vane wheel). Therefore, there is no need to worry about failure caused by overflow or inclusion of foreign materials such as sand, and the pressure drop is almost zero. In addition, because our meters run on built-in batteries, an external power supply is not required and the installation position is flexible. With drastic size reduction and weight saving, various places where meter installation was impossible have been made possible. Our electromagnetic technologies can also be applied for the detection of tiny amounts of fluid leakage, measurement of the body-fluid removal amount in a dialysis machine, accurate measurements of micro-flows such as infusion, and the like. We also have succeeded in measuring flows of fluid in a partially filled pipe for the first time in the world. Our advanced technologies and creative ideas have made it possible to make measurements in various applications previously considered impossible. Today, the scope of areas where our technologies can contribute is expanding to a variety of fields. Our ultrasonic meters allow you to measure seawater, pure water and various other types of fluids. Foaming fire trucks have recently drawn attention for their superior extinguishing capability. In order to produce the most appropriate foam for a fire truck, it is essential to measure the flow rate of the solution to which our technologies are applied. Also, our technologies are used in bottling factories. 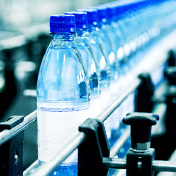 Checking the appropriate distribution amount of fluids to each bottle improves product quality, decreases the ratio of inferior products, and enables stable production. With the product lineup of Aichi Tokei Denki, you can measure a wide range of flows accurately including chemicals, oils and gases. Also, our ultrasonic meters allow you to measure seawater, pure water, and various other types of fluids. For vital customers of gas providers such as metal, petrochemical, food and machinery manufacturing factories that consume a large amount of gases, we offer roots meters (rotary gear type), ultrasonic meters and turbine gas meters. Not only the high range capabilities, but also our products are capable of measuring large volumes of flows in contrast to their compact size designs, which will also contribute to reducing the cost of installation and maintenance. 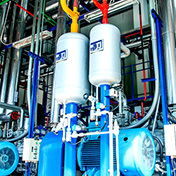 You would be surprised how much a compressor, which creates compressed air, consumes electricity. In Japan, it generally accounts for approximately 20 to 25 percent of the power consumption of an entire factory. Understanding the variation in air consumption, detecting air leakage, and optimizing the operation of compressors by installing flow meters for each compressor, factory or line can eliminate unwanted air usage and eventually cut electricity bills. 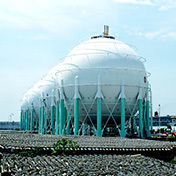 We are also good at measuring nitrogen gas frequently used in factories. By combining flow sensors, electromagnetic valves and batch controllers (PLC, etc. ), the automation of a fixed amount injection of water, chemical liquids, etc can be realized at high levels of accuracy. 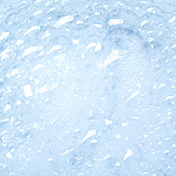 This technology is used in vending machines for water (water filtered by RO systems), etc. Flow management is essential to controlling the proportional injection of various fluids. Also, monitoring the flow of gas fuel and air flow in burners of industrial furnaces can ensure the optimal state of combustion. We can provide the optimal solutions with our wide ranging product lineup for your stable product manufacturing. 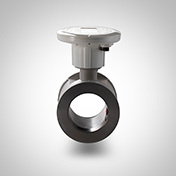 Our Flow sensors contribute to safety management by detecting the proper performance of CIP (Cleaning In Place, which is the automatic and safety cleaning of production facilities by simple operations) at food factories, and of the proper injection of chemical sterilization liquids at water processing facilities. Also, by monitoring the amount of cooling water or coolant for facilities such as molding machines, welding machines, etc., a breakdown of the facilities can be prevented. In Japan, the sewage charge is calculated on the premise of "all the used water should be discharged into sewers." 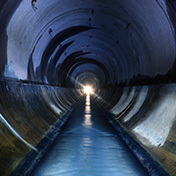 However, this is not the case all the time and in fact, some water is not discharged into sewers. A considerable amount of water is vaporized in cooling towers and boilers. 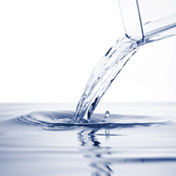 Beverage manufacturers use a majority of water in their products. Discussion and approval from a local government will be required for this matter, but it is possible for you to reduce a significant amount of utility expense by measuring sewage flow. We developed the world's first flow meter that can measure partially filled water, which enables the measurement of sewage flow and eventually will cut your utility expense.